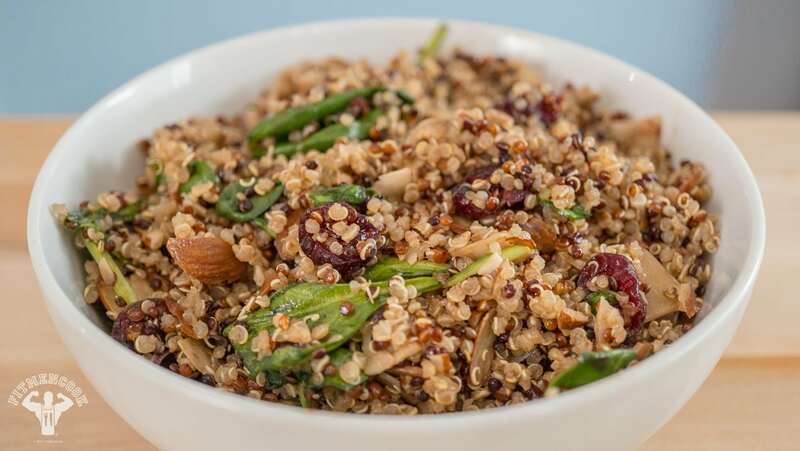 Here’s a quick and easy way to liven quinoa! This is especially clutch if you find yourself making way too much quinoa each week and struggling to find ways to enjoy it before you inevitably (and regrettably) toss it out. Trust, you’ll definitely finish this recipe. This pairs beautifully with my sweet tamarind glazed salmon recipe. Add the ingredients for the salad to a large bowl. Toss everything together. In a small sauce bowl, mix together the ingredients for the light dressing. Add the dressing to the salad, then gently fold everything together. Season to taste with sea salt & pepper, and if desired, more/less orange juice and balsamic vinegar. Enjoy immediately or best serve chilled.